Plumbers have a number of jobs they do and are hired for on a regular basis. The common expectations has plumbers dealing with blocked toilets and nothing more. Of course, they have a lot more to offer and they are generally called on for a number of other jobs other than residential toilet related concerns. In fact, this is one of their least important jobs at the end of the day. Here is a deeper look into what a plumber is responsible for and why they play such an important role in the grand scheme of things. Plumbing systems have a big role to play and it is essential for the plumber to know how to install, repair, and replace them. Not only are plumbers able to deal with these systems regardless of the technology that is being released onto the market, they are also able to assess the damage that has been done and provide an accurate timeline for how long it is going to take to repair and what it is going to take to have it fixed in the first place. Leaks are a part of the job description for plumbers. There are leaks that can occur all around the property beginning from the toilet and moving to the pipes that are inside the walls. There are different types of leaks and the severity can also vary from project to project. The plumber is not only responsible for detecting the leaks that are present, but for also repairing them as fast as he/she can. It is essential to stop the leak from spreading and getting it up and running as fast as they can because of how vital the pipes are to the rest of the property and its functioning. Waste water can accumulate over time on certain properties and it is important to disposal of this waste water as soon as you can. If this is not done, it can start to reek and it can also do dmaage to the property as a whole and that is the last thing a property owner wants. This is why, plumbers are asked to assess the waste water that is present and ensure that it is taken care of as soon as possible. With the right equipment, the plumber is able to get rid of the waste water effective immediately for property owners. Piping is essential when it comes to plumbing and plumbers have a big role to play when it comes to checking and repairing the piping that is present. Most people will assume, they are only able to check the piping, but that is just a part of the job. They are also able to cut and replace the piping while being able to repair it as well. These are all important parts of their job when it comes to various commercial and residential projects that come up. This is what a plumber is responsible for on a day-to-day basis around the clock. Each plumber has specific projects they are seen working on from time to time, but in the end, they are responsible for all of the tasks that have been listed here and many more. They will often sign up with construction companies and work under them in order to get the right amount of projects on a yearly basis. There are others who will open up businesses and work from that angle. 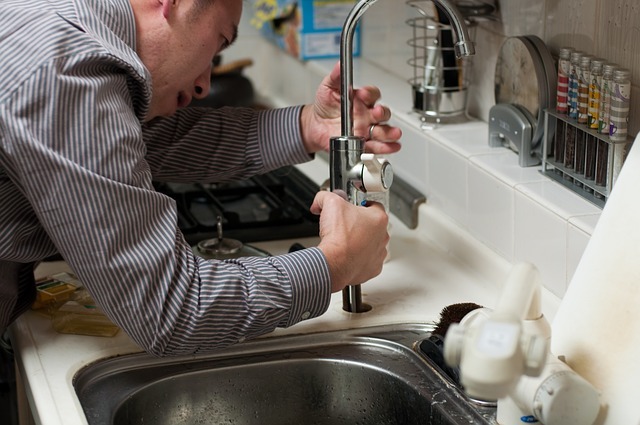 Plumbers are able to do a range of tasks when it comes to the property and its piping.